FORZA introduces a range of machine vice towers for machining centres at BIEMH 2016. The main idea is a custom made tower for each part, searching an specific tooling (cheaper) and trying to avoid universal tooling (more expensive). An specific tooling with adjusted price will let keep it stopped when not making those parts and will be able to mount it in minutes when is needed to start machining. Better delivery time and low machine arrangement cost are the aims. 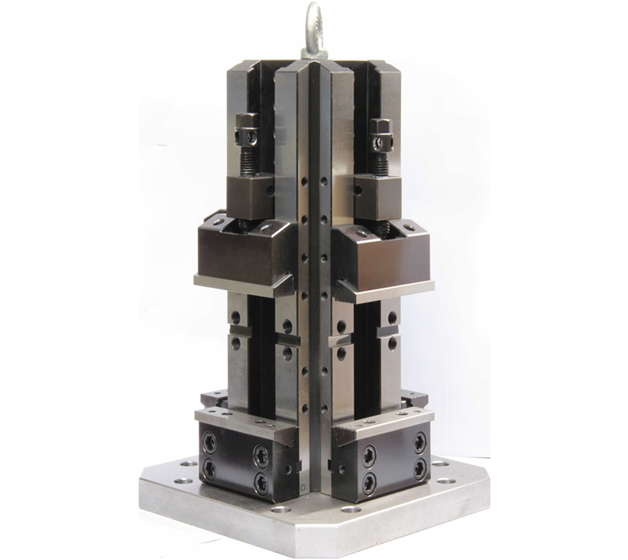 These towers are designed for flexible machining, specially useful for multipallet stations.